Unfortunately, we reached Houston right at rush hour. Our impeccable timing gave us a glimpse at Houston’s gridlock-ish highways. This was some of the worst traffic we’ve come across during our travels, and it’s something we’re trying to avoid as much as possible at our next place of residence. Besides, towing a 35-foot trailer through rush hour traffic on a freeway in a major city is rather stressful. But, luckily the anxiety was worth it after we reached our campground and I was able to get together with one of my besties! 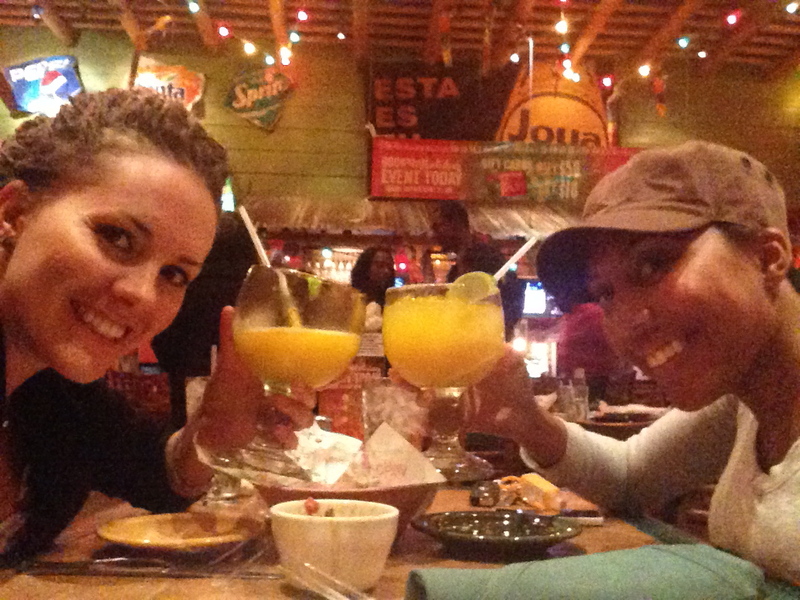 Besties + Margaritas = Good Times for Girls’ Night!!! 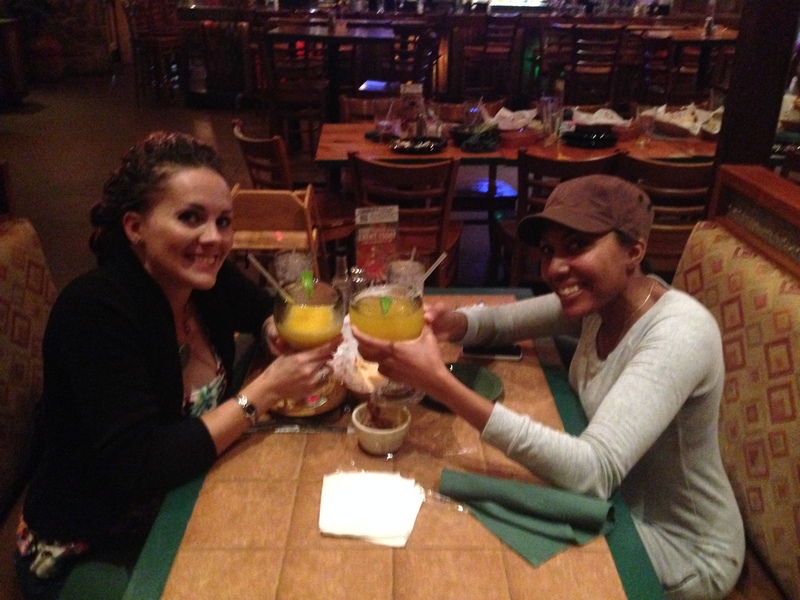 Shortly after seeing my dear friend back in December 2014, she was diagnosed with Multiple Sclerosis (MS) in January 2015. This debilitating disease has presented an extremely challenging road for her, but she remains positive with the motto ‪#‎disablednotdead! Since her diagnosis, she has started blogging about her journey, experience, struggles and anecdotes. Follow her here: thatsabryant.com! We did it!!! 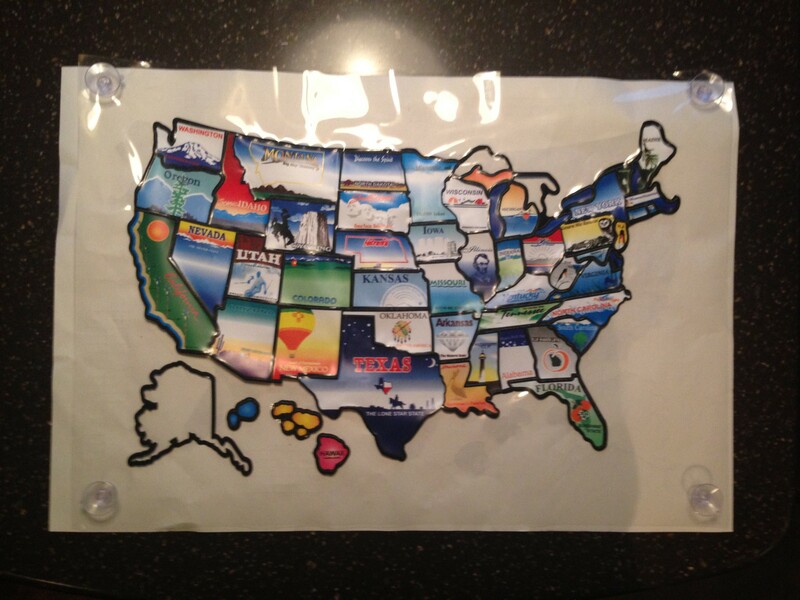 We traveled through ALL 48 contiguous states!!! Arkansas was the last of the 48 contiguous states we still needed to visit. Anxious to reach our final new state, we took off from Houston early in the morning. After a long drive through East Texas, we made it to Arkansas, our 48th state! We have now officially accomplished our goal of traveling through ALL 48 contiguous states of the U.S.A.!!! Woo hoo!!! This was a bittersweet moment. We were somewhat sad that our journey was coming to an end, but more than anything, we were proud of ourselves for reaching the finish line! 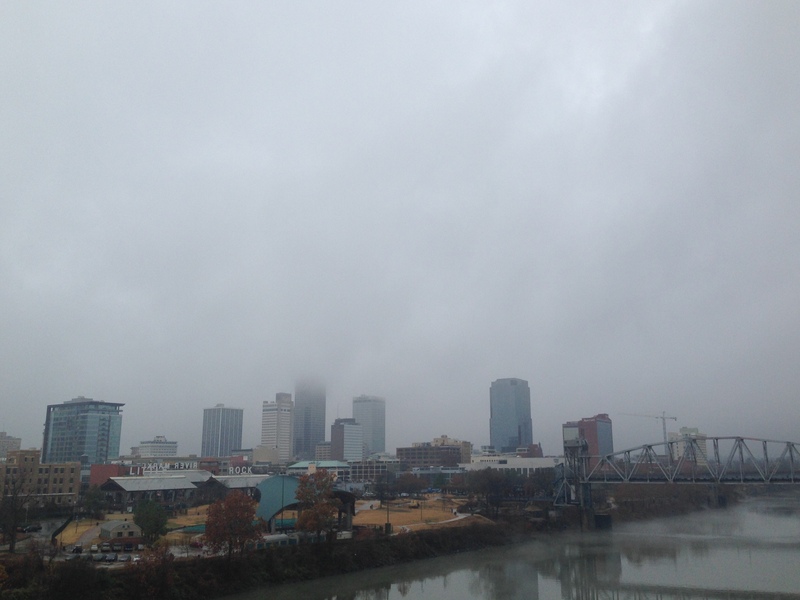 This was a dreary day, which made us wish we had seen Arkansas at a different time of year. I’m sure it’s beautiful in the spring, summer and fall. Winter though, not so much. We ventured into downtown Little Rock on the Arkansas River. The River Market District was a nice artsy section with a few public sculptures and tile mosaics. The area seemed to be in the process of being revitalized. We also noticed the town had quite a bit of Bill Clinton pride with a Clinton Museum Store and even a street named after him (President Clinton Avenue). Inadvertently continuing with the Bill Clinton theme, we drove to Hot Springs, AR, the hometown of Bill Clinton and site of Hot Springs National Park. The Central Avenue Historic District was a good representation of small town America. What stood out on the main street was the Bathhouse Row Emporium. This was not what we were expecting for a National Park. To be honest, we didn’t know anything about Hot Springs National Park before we arrived. Based on the name, we assumed there would be natural hot springs we could hike to for a private soak. Sadly, that was not the case. The hot springs weren’t in a remote forest; they were commercialized as public spas in bathhouse buildings. And the National Park was part of the city of Hot Springs, AR, not an actual park. Disappointed in Hot Springs (quote) National Park (end quote), we did not partake in the bathhouses. With over 30,000 miles logged during our travels, we are now done with our last state! Time to head west again! Our route took us on some back roads through Arkansas, but we didn’t mind because it allowed us to appreciate the scenic countryside. Driving through the Ouachita National Forest and seeing the Ouachita Mountains reminded us of the massive peaks we had to look forward to back on the West Coast. We were getting excited! Before this road trip, we took mountains for granted. 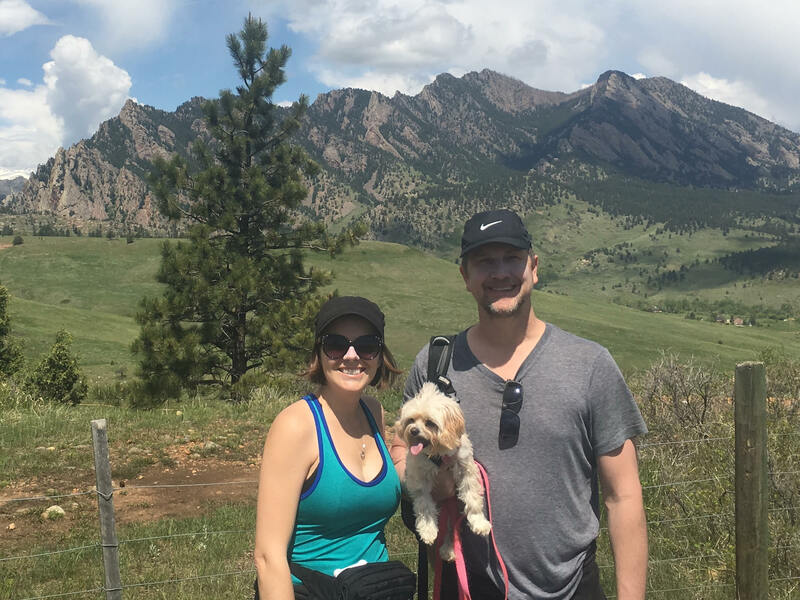 But after viewing the hills considered “mountains” east of the Rockies, we gained a powerful new appreciation for the western mountain ranges. Before reaching the mountainous areas though, we still had to drive through some pretty flat terrain. 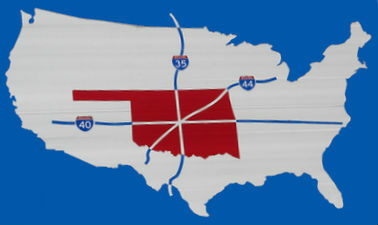 As we approached downtown Oklahoma City, we passed through America’s Corner, a 20-mile area surrounding the intersection of Interstates 35, 40 and 44. The grey weather turned into a dense fog, concealing the city skyline. At least we already had an up-close look at the lovely downtown OKC area when we were in Oklahoma at the beginning of our trip. Trying to break up our drive to California with equal mileage between each stop over the next few days, we stayed in Elk City, OK, about 40 miles east of the Texas border. The sketchy campground had just evicted one of their long-term residents. This had caused some drama, resulting in the police arriving and a general uneasiness lingering in the air. We were tempted to leave but were worn out from all the driving we had done the last few days. Plus, since we’d only be staying one night, we figured we could handle it. We planned on leaving first thing the next morning, and slept (or rather waited) with one eye open.